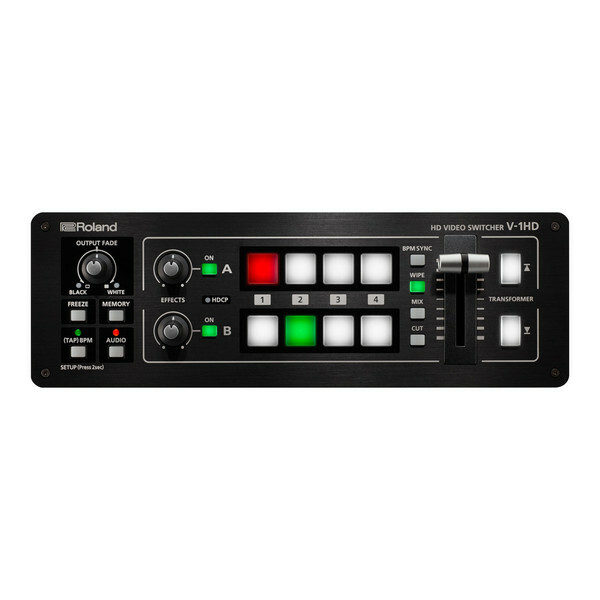 The Roland V-1HD HD Video Switcher is so compact and portable that is can be taken anywhere, providing you with the ability to connect a range of HDMI video sources and switch between them with a simple push of a button or slide of the T-fader. The V-1HD supports professional compositing effects and keying, perfect for graphic inserts, titling or even ''green screen'' broadcasts. 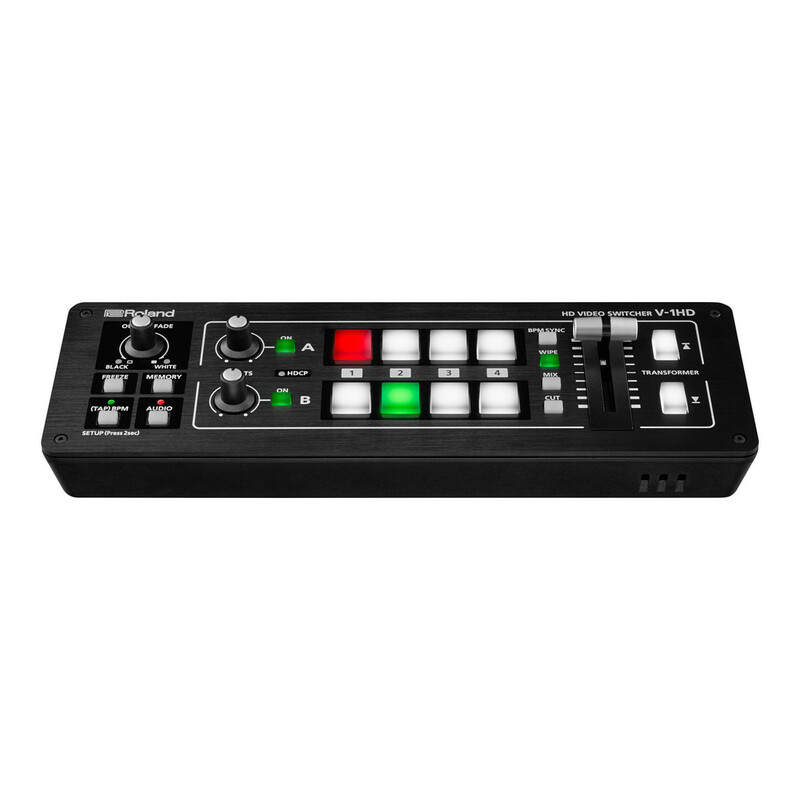 The V-1HD features large back-lit buttons which ensure intuitive video switching even in low light conditions; Red lit buttons indicate the current source being played, while green lit buttons indicate the video that will be played on the next transition. 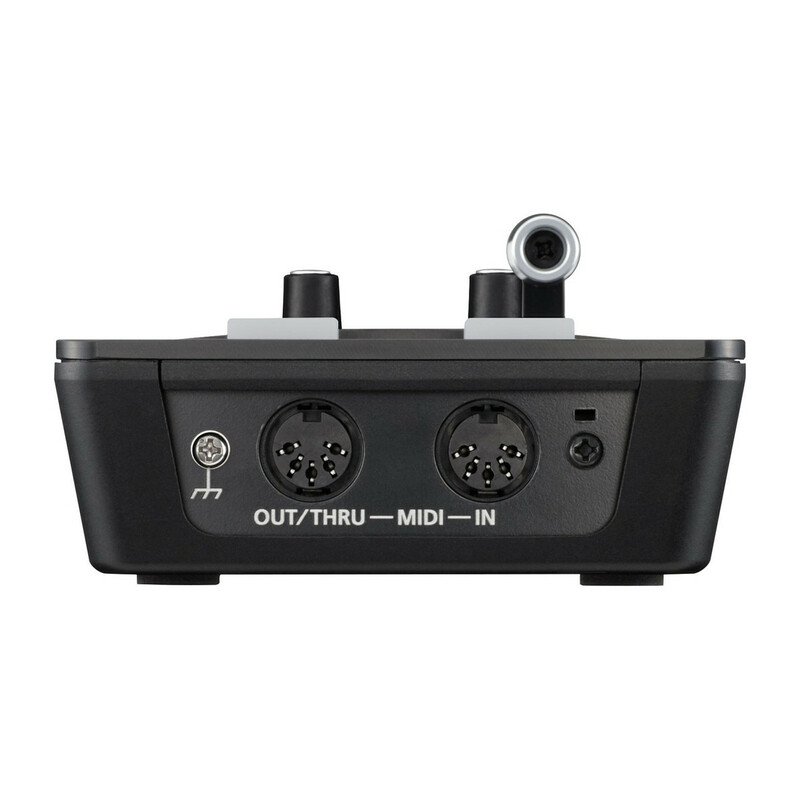 The Transformer button allows you to instantly switch the video or apply effects, while three transition selection buttons ensure quick changes of mixing style to match style changes within your performance or broadcast. The Roland V-1HD delivers compositing effects, compositing two videos in one screen using Picture in Picture or the split function, perfect for supporting presentations and performances. The V-1HD also supports chroma key and luminance key, which allow you to create professional broadcasts using green screen background or overlaying computer generated titles on top of video sources. Simply use knob A and knob B to apply and adjust effects to the A bus and B bus respectively. This innovative video switcher includes nine types of filter effects including silhouette, colourpass, negative and findedge. 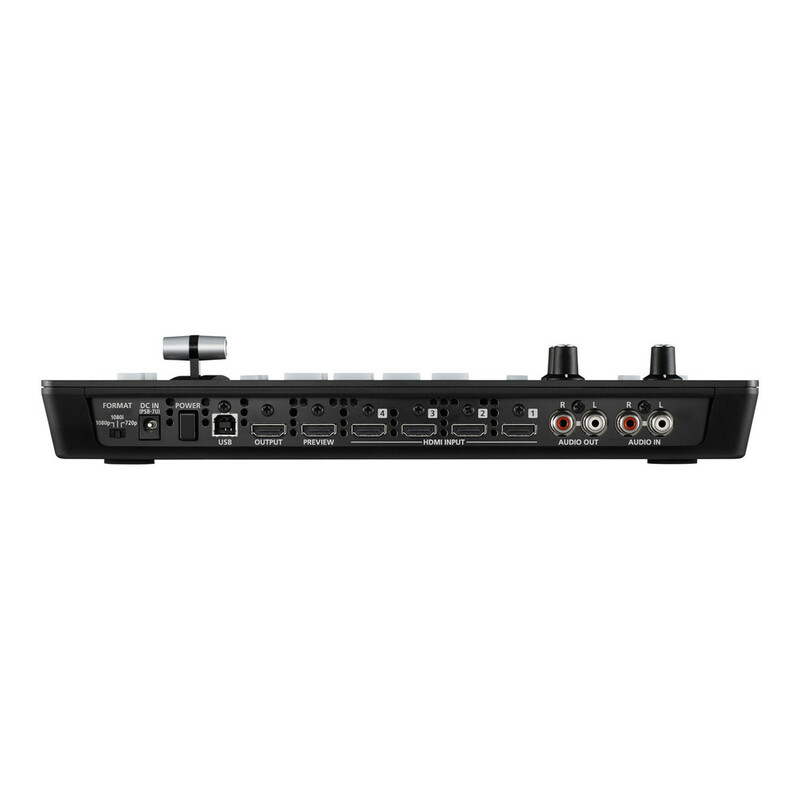 Equipped with a 12-channel digital audio mixer, the V-1HD provides you with the ability to mix four stereo audio inputs from the HDMI ports, the stereo line level input or microphone input. Every channel features a delay function which ensures both audio and video is synchronized together, while the audio follow function enables the audio to transition along with the video. 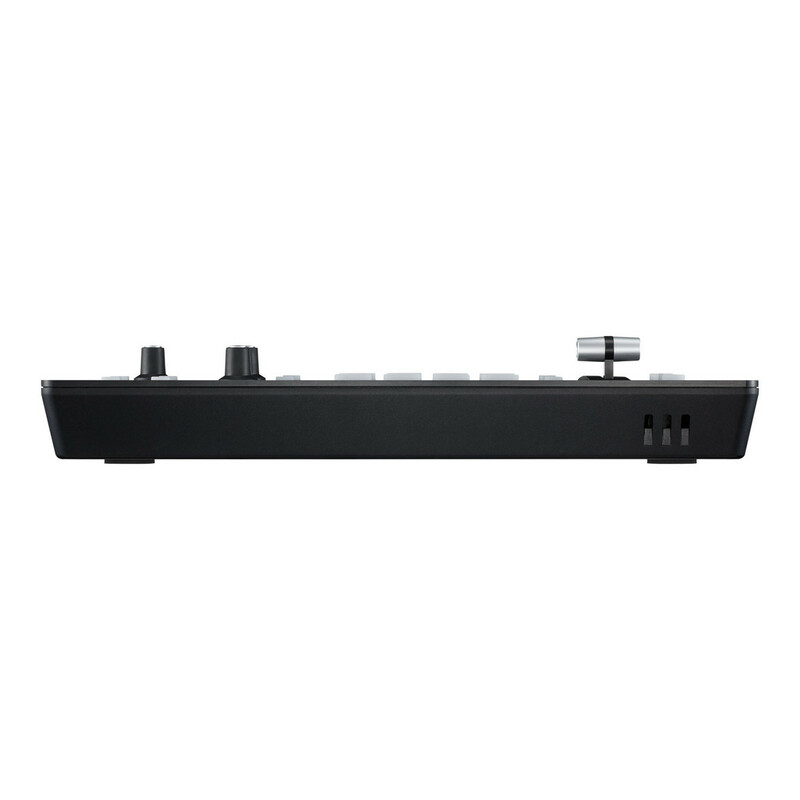 Additionally, the reverb and mastering functions are ideal for adjusting the overall sound quality and volume. 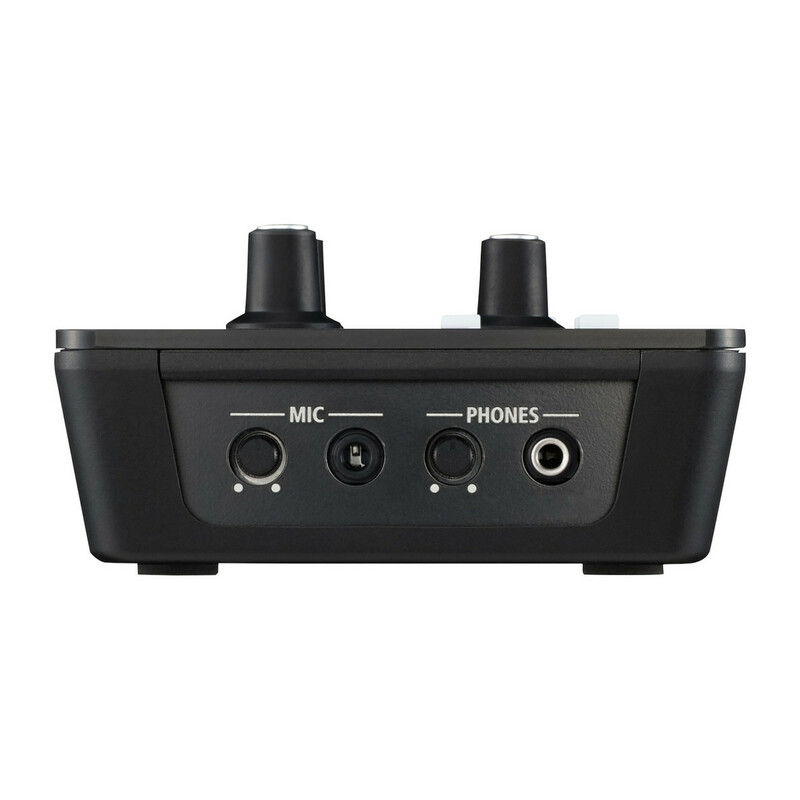 The final audio mix is then both embedded in the HDMI output along with the video signal, and also outputted to the stereo audio jacks for use with a PA system or recording on an external device.